Holders Eastbourne Borough will have to wait to find out how they will play in this season’s last four. The draw was made on Saturday evening and paired Borough with the winners of the only quarter-final yet to be played, between Brighton and Crowborough. In the other semi-final, Bognor will play Crawley. 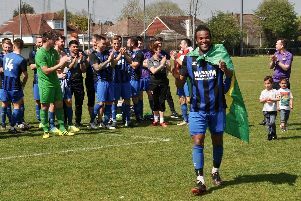 Both semis are likely to be at Sussex FA HQ at Lancing, with one on Tuesday, February 21 and the other on Wednesday, March 1 as teams bid to get through toe the final at the Amex in May. Eastbourne beat Worthing in last season’s final.